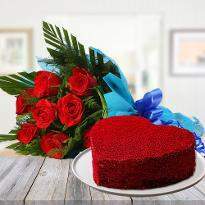 Valentine's day is a perfect day to enter in a relationship with someone that you love. 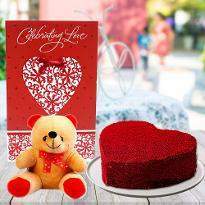 If you are already in a relationship then, valentine's day is an ideal day to celebrate the special bond you share with your life partner. 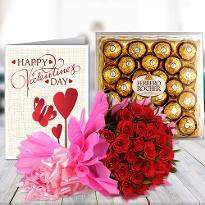 If you have a someone special in your life to whom you love endlessly and want to express your feelings and love to that special person on this valentines day, then say I LOVE YOU with a special valentine's day gift. 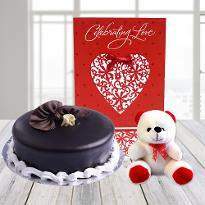 Get a hassle-free online Valentine's day gift delivery in Secunderabad from Winni. 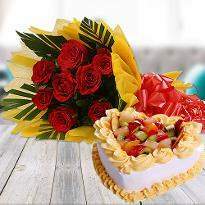 Gifting is a special part of our relationships and it binds us together. 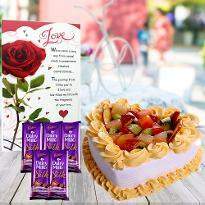 Celebrate this Valentine’s Day with your special one and with lots of palatable Valentine’s Day gifts. 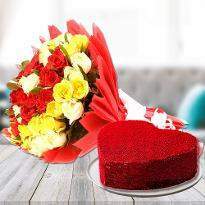 Valentine’s Day is celebrated on 14th February every year that represents the lovely bond that the lovers share. 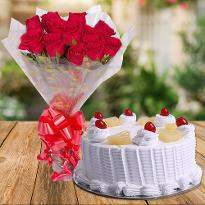 Although we can express our love every single day, showing love on this special day certainly carries an air of extravagance around it. 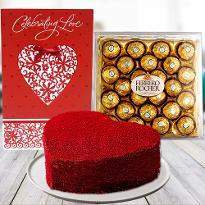 Choose from our lavish Valentine gift collection. 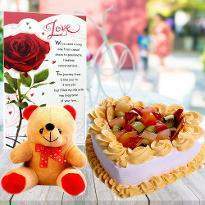 Send Valentine’s Day gifts to Secunderabad followed by your explicit emotion this valentine. 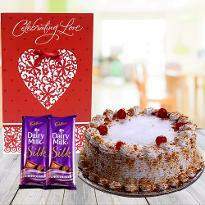 Send Valentine gifts to Hyderabad with us with the best delivery mechanism. 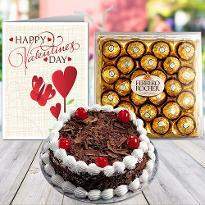 We offer same day Valentine’s day gifts delivery in Secunderabad. Life is beautiful when we have our special one by our side. 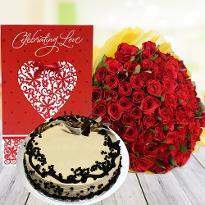 Being there with them gives us pleasure and the happiness is of some next level when the occasion is Valentine’s Day. 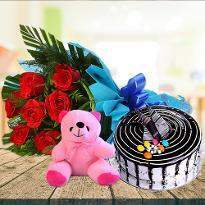 Celebrate this lovely day in style and send Valentine’s day gifts to Secunderabad. 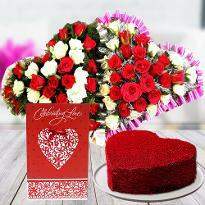 Valentine’s Day is a day that speaks of love, passion, affection and care. 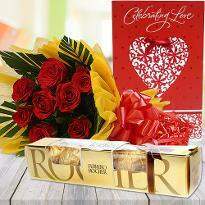 We know that on Valentine day both the lover deserves a break in life and showered with Valentine's day gifts. 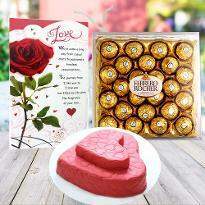 We have invented a special category like Valentine gifts for her and Valentine gifts for him. 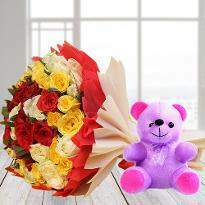 Therefore, you can easily shop for your partner. 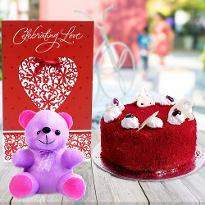 Everybody buy gifts for their special one, friends, and family to share love and happiness. 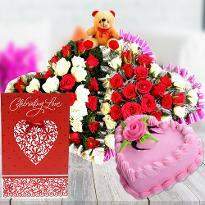 Send unique Valentine’s Day gift items to the love of your life who is residing in Secunderabad. 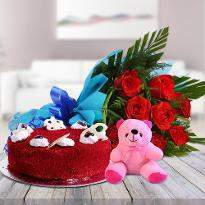 Surprise him/her with colorful and beautiful flowers, mouth-watering cakes, Teddy bears and Love balloons by making an order online and send Valentine’s Day Gifts to Secunderabad that requires no effort through the online website and devotes your energy and unqualified love to your mate. 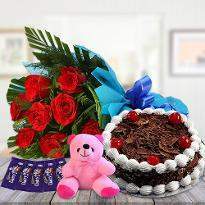 On the off chance that your special one is in Secunderabad, Winni can deliver your emotions in the form of Valentine gifts. 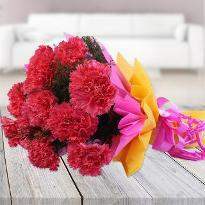 This will surely make him/her feel happy from the core of the heart. 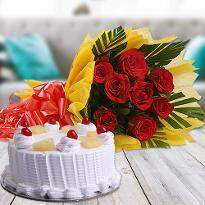 Winni is the most helpful method for holding the delight and festivities of any occasion or celebration. 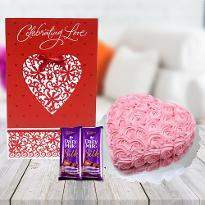 You can browse our Valentine’s day gift items and offers an excellent gift for your special one. 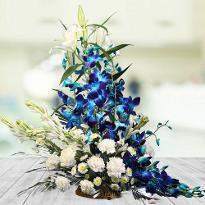 This portal offers the best quality gift items and an incredible delivery service so that you easily send gifts to their place. 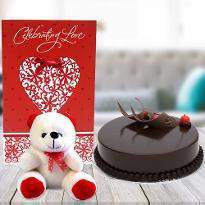 This online gift portal gives you access to buy and send Valentine’s day gifts to Secunderabad by making an online payment most easily and securely.